A bill introduced in Oklahoma would let property owners destroy drones by removing a civil liability. Property owners are increasingly taking matters into their own hands when drones get too close and personal. Oklahoma lawmaker Ralph Shortey’s bill would exempt property owners from civil action if they destroy drones not regulated by the Federal Aviation Authority. The measure falls short of describing how a property owner could take down a drone but recent events show they are usually shot at. Oklahoma has a law against discharging a weapon within a residential area except when it’s in self-defense. The bill passed the Senate Judiciary Committee with a unanimous vote on February 21. Shortey introduced the bill after a drone was shot down during a pigeon shoot fundraiser in 2015. The drone was operated by the animal rights group, Showing Animals Respect and Kindness. There is opposition to the bill as drones are classified as aircraft and it is against federal law to shoot down an aircraft. “So the bill opens itself up to the state pre-emption of federal law,” Stephen McKeever, chairman of the Oklahoma governor’s Unmanned Aerial Systems Council. In 2015, the FAA said lawmakers in 45 other states were considering restrictions on Unmanned Aerial Vehicles (UAVs). California passed an act in 2016 which provides immunity for first responders who damage an UAV that was interfering with them while they were providing emergency services. The legislation was passed after an UAV interfered with the work of firefighters trying to put out wild fires in the state. Similarly a Louisiana law in 2016 granted law enforcement or the fire department the right to disable a UAV if it endangers the public or an officer’s safety. 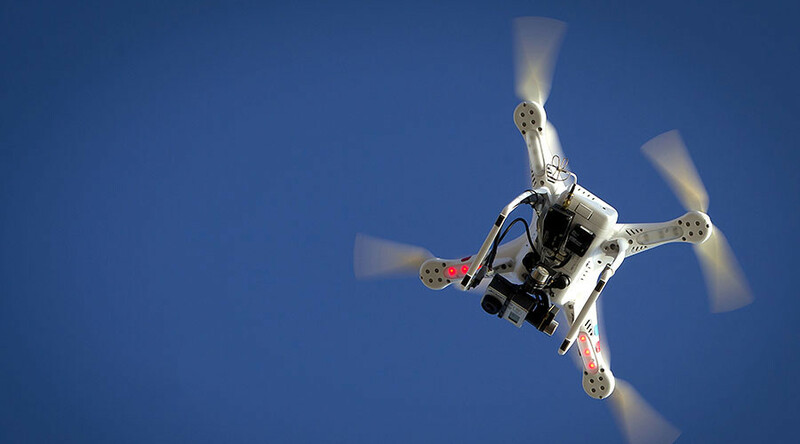 American law does not recognize the concept of aerial trespass but the Federal Aviation Administration claims jurisdiction over all airspace and it has said it wanted to avoid a patchwork guilt set of regulations over UAVs. “A private citizen shooting at any aircraft – including UAV – poses a significant safety hazard,” Les Dorr, an FAA spokesman told Ars Technica. “An unmanned aircraft hit by gunfire could crash, causing damage to persons or property on the ground, or it could collide with other objects in the air. Shooting an unnamed aircraft could result in a civil penalty from the FAA and/or criminal charges filed by federal, state or local law enforcement,” Dorr added in an email. Still, that didn’t stop a property owner in Virginia, Jennifer Youngman, last year when she noticed a drone flying around the property of Robert Duvall and scaring livestock while she was cleaning her shotgun on her porch. “It [drone] started to come down, and that’s when I raised my shot gun and blasted it out of the sky,” Youngman told Fox. The drone splintered into pieces on her lawn. Youngman said she noticed two men, likely the drone operators making their way up the street to her house. She told them there was no trespassing and she was going to call police, and they disappeared. In December, the chief counsel’s office of the Federal Aviation Administration issued a fact sheet for state and local agencies who might be considering creating new laws or ordinances. In it, it breaks down what the FAA regulates and recommends consultation before governing bodies issue laws.